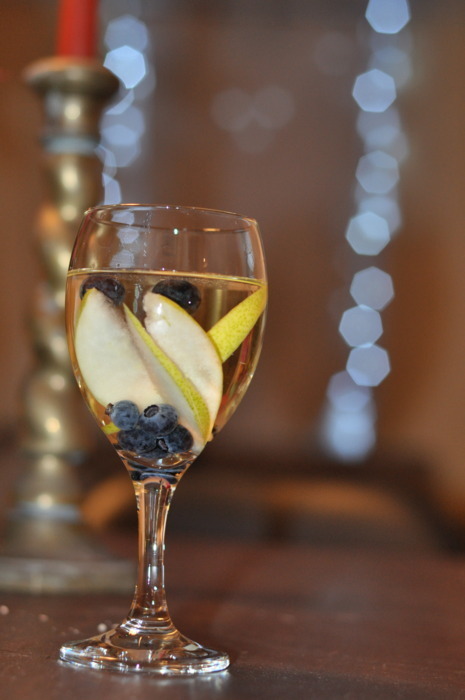 To prepare for some light entertaining I thought I would try out some white wine sangria. It sounds fancy but really I just added pears and blueberries to wine with the addition of some rum - sangria has liquor in it right? Though it looks pretty good maybe I should’ve used some semblance of a recipe because it was so bitter it was almost undrinkable. (I said almost). 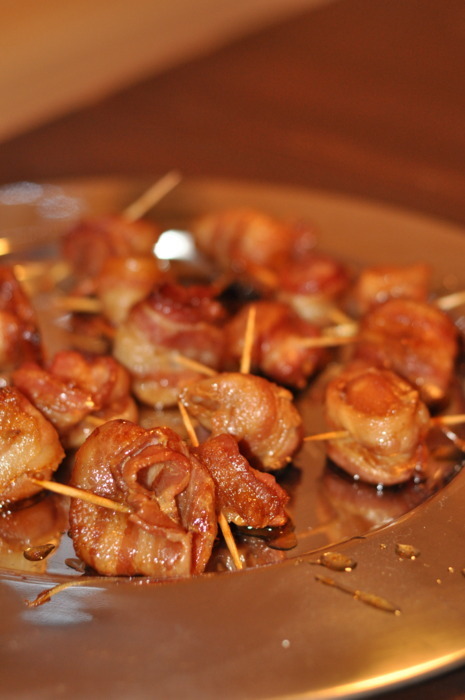 I then attempted a recipe a friend of mine made at a Christmas party - bacon-wrapped water chestnuts. I omitted the microwave part and the BBQ sauce however. I found them a little too soy-saucey - maybe the BBQ sauce would’ve helped with that. They’re a pretty interesting (and easy) appetizer - and a conversation starter in fact (“what are water chestnuts anyway?)! 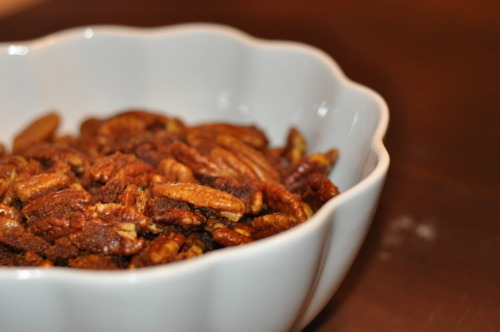 Copying my friend again I made spiced pecans. I made caramel, stirred in spices like cinnamon, nutmeg and chili powder, then added the pecans. My problem was I didn’t simmer the sugar and butter together long enough so the sugar didn’t fully dissolve and the caramel coating didn’t form. They turned out more like sugar + spices + pecans rather than caramel-coated-spiced-pecans. Still - undissolved sugar is better than no sugar right? 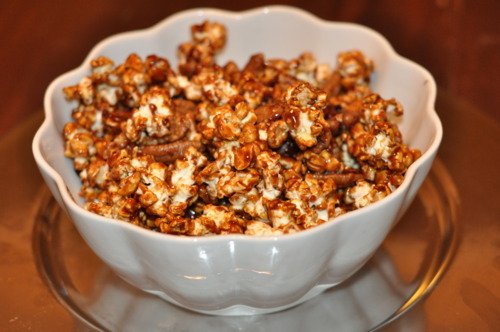 I tried the caramel again with popcorn and pecans - this time simmering it for longer - and it worked! It formed a caramel, however I turned the heat up a little too high so it was slightly burnt. C’est la vie - burnt caramel is better than no caramel right?